Shivnarine Chanderpaul was one of only two top-order West Indian batsmen to score fifties. 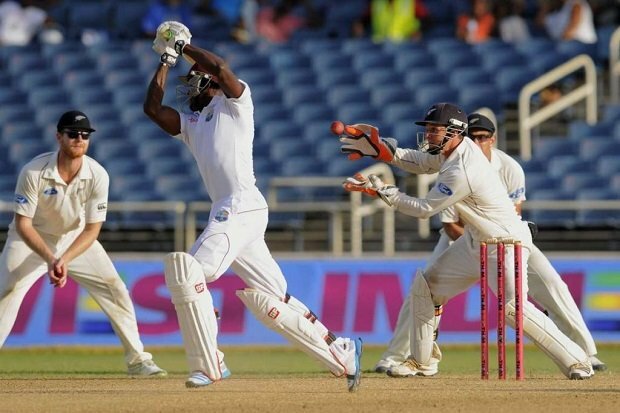 Despite the new look of the West Indies test outfit, it was the same old story for them. Their inability to hold their bats through the longer format proved costly as they were handed a heavy defeat in the hands of the New Zealanders in the first test match in Kingston. Failing to capitalize on a good albeit slow batting track, the West Indians managed just paltry scores of 262 and 216. Only two of their top-order batsmen scored fifties while five of them had made ducks. 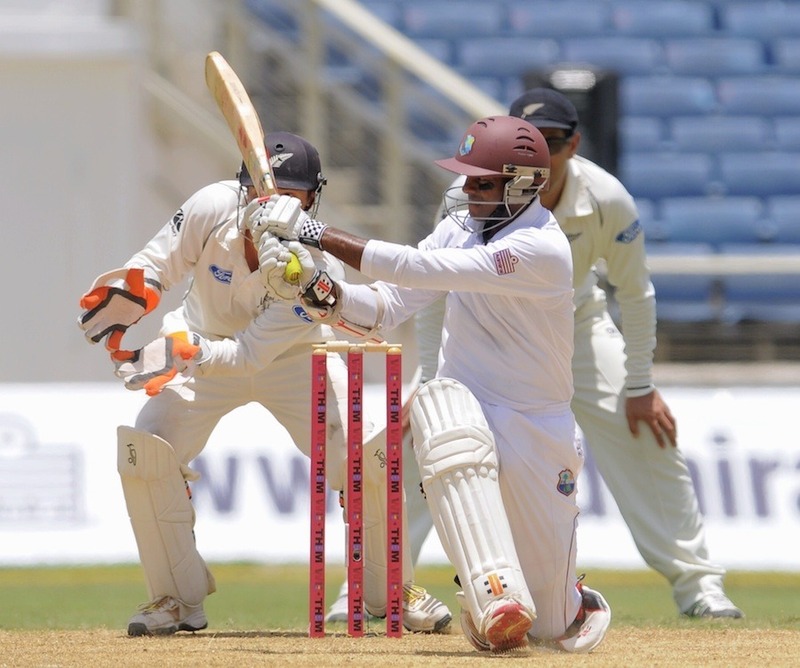 Marlon Samuels had a particularly rough match, failing to score in both innings of the game. A lack of test-match temperament and willingness to occupy the crease for long periods of time were cited as being the main reasons for the batting let-down. Their second innings was illustrative of this as they were bowled out in well under 50 overs while chasing a target of 403. In fact, they had crumbled to 134 for 9 in the 39th over before Shane Shillingford and Suleiman Benn, having nothing to lose, entertained the crowd for a while by going after the slow bowlers. They built up a record last-wicket partnership of 82 runs before Benn edged a Williamson delivery to wrap up the test in four days, a scenario which is common for the West Indies. The management was happier with the bowling efforts of the team, considering a number of issues they had faced before and during the game. Jerome Taylor had returned to the team after a long gap, and Kemar Roach had come in the side after only just recovering from surgery. While the bowling lacked fire in the first innings, it was far more disciplined in the second as the pacers seemed to realize that a larger emphasis on good lines and fuller lengths would get them wickets on this track. Shillingford performed well with the ball too, taking 5 wickets despite not being able to utilize his stock doosra, though he would have no doubt been prouder of his batting performance in this match. While Chris Gayle will not be happy with the way his 100th test panned out, he and the rest of the team have plenty to work on if they are to put up a better performance in the next match.